Trevor Hendy is a legend in his sport. No other competitor has reached his heights. Together with his down to earth attitude, he has become a role model for all Australians. Trevor is unchallenged as "The Greatest Ironman in the World." 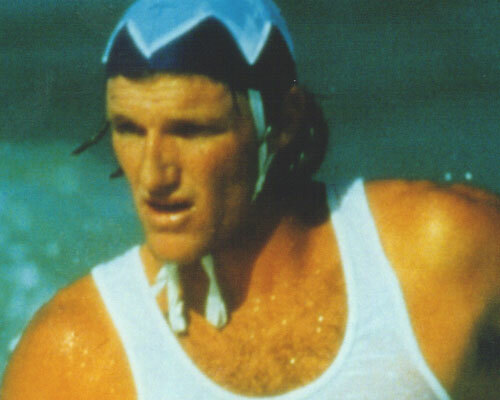 The pride of Australian Surf Lifesaving. Trevor's list of achievements would make most sportsmen and sportswomen turn green with envy. Competing for the Surfers Paradise club on the Gold Coast Hendy has won six Australian Open Ironman titles surpassing Grant Kenny's record. His string of Queensland titles stretch back to the mid 1980's and in 1994 Trevor claimed his fourth consecutive World Ironman title in the United Kingdom. As four time winner of the Uncle Toby's Super Series, he was the man everybody wanted to beat. Hendy won the series in its first year in 1989/90 and backed this up with outstanding performances during the 1990/91, 1991/92 and 1993/94 seasons. Hendy achieved a near perfect point score of five 1st placings and two 2nd placings out of seven races - a score never before achieved in the history of the series and one which will probably take many years to surpass. In that same year he won the Australian and World Ironman titles. Ever modest of his achievements, Hendy prefers to let his racing do all the talking when discussing his place in Surf Lifesaving history. Trevor currently holds the all-time record of six times Australian Ironman Champion and four time World Ironman. After setting records as an Ironman which are yet to be matched, Trevor retired from Ironman racing in 1997 to concentrate solely on pushing a kayaking career with the dream of competing at the Sydney 2000 Olympics. Trevor was a member of the Australian champion K4 1000 team to win consecutive national titles in 1997 and 1998 and a bronze medal at the world Championships in Germany. His remarkable contribution to sport resulted in the awarding of the Member of the Order Australia. 2018 © Gold Coast Sporting Hall of Fame.